Hi guys! 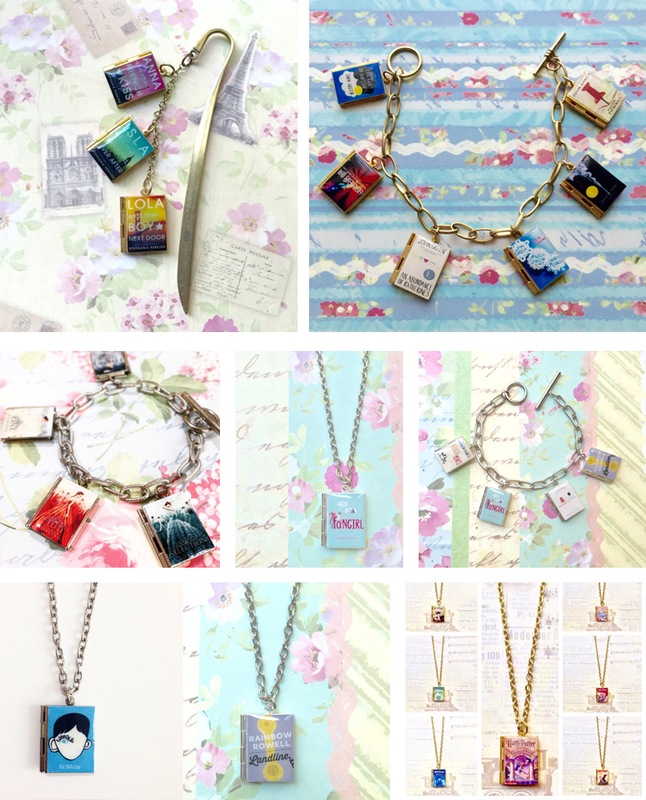 Today I have the utmost pleasure of introducing you to one fabulously crafty family that makes beautiful bookish crafts! Please welcome CRAFTING CALL and say hello to Ainee and Migs! This family-run Etsy store makes the world a prettier place one gorgeous bookish craft at a time. 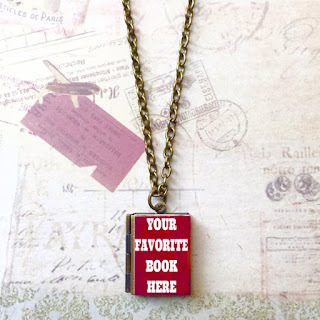 They make book necklaces, bag charms, bracelets, bookmarks and more! Check out my review and make sure to enter A FANTASTIC giveaway Crafting Call has prepared exclusively for readers of Bookish Lifestyle! * Can be made into a necklace, bracelet, keychain and bookmark! When I first came across CRAFTING CALL, I felt like a kid in a candy store. No joke. 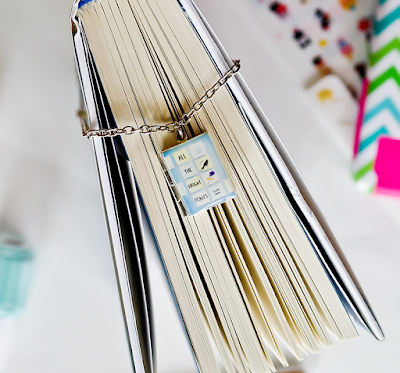 I was browsing through my Instagram feed and someone posted a picture of a book necklace (or was it a bookmark? I don't recall anymore!). I immediately clicked over to their Instagram account, from where I went straight to their Etsy store and some serious money spending happened. OK, I am being a bit dramatic, I only had enough money to buy one thing, but when I saw this (gorgeous! beautiful! magical!) 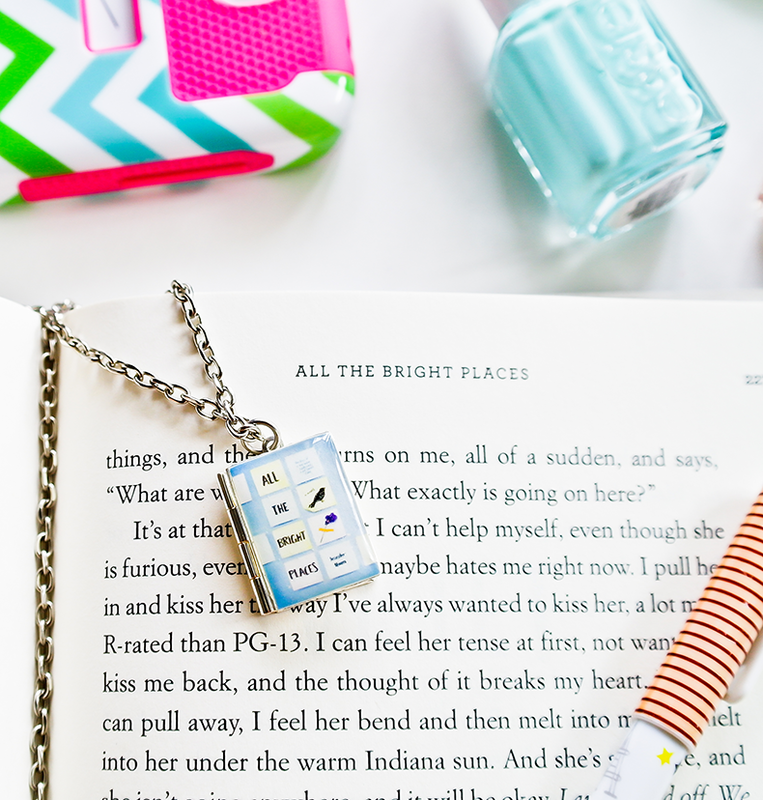 ALL THE BRIGHT PLACES necklace, I could not stop myself. And thank God, because it is FAB-U-LOUS! 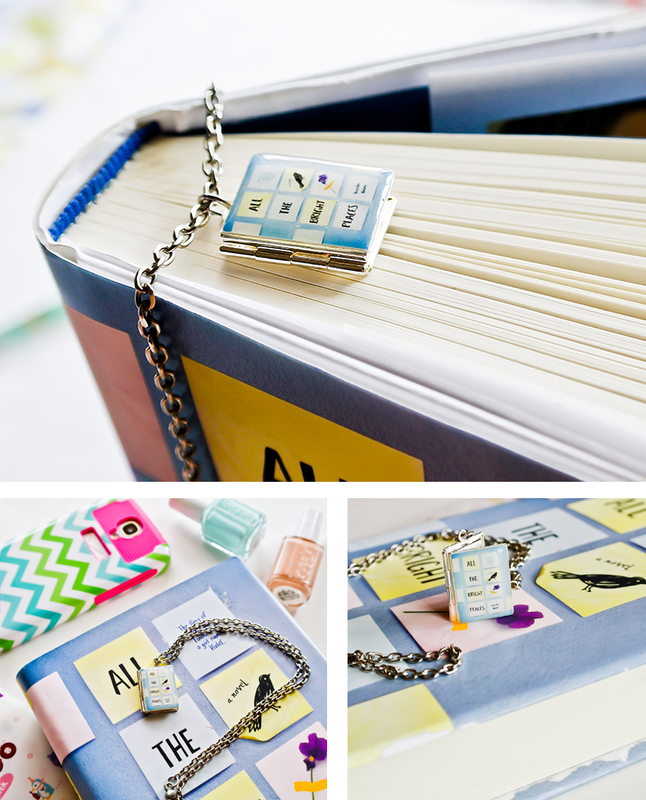 This is a necklace with a picture locket that looks just like a mini cute version of the book itself. It's tiny and so purrrrty! I just love it! Lots of care went into making it, the details are incredible and the overall look is really quite impressive. I love that I can put two tiny photos inside and I am planning to put my hubby and my daughter's pictures in there as soon as I can have them printed in tiny versions that will fit the tiny locket. 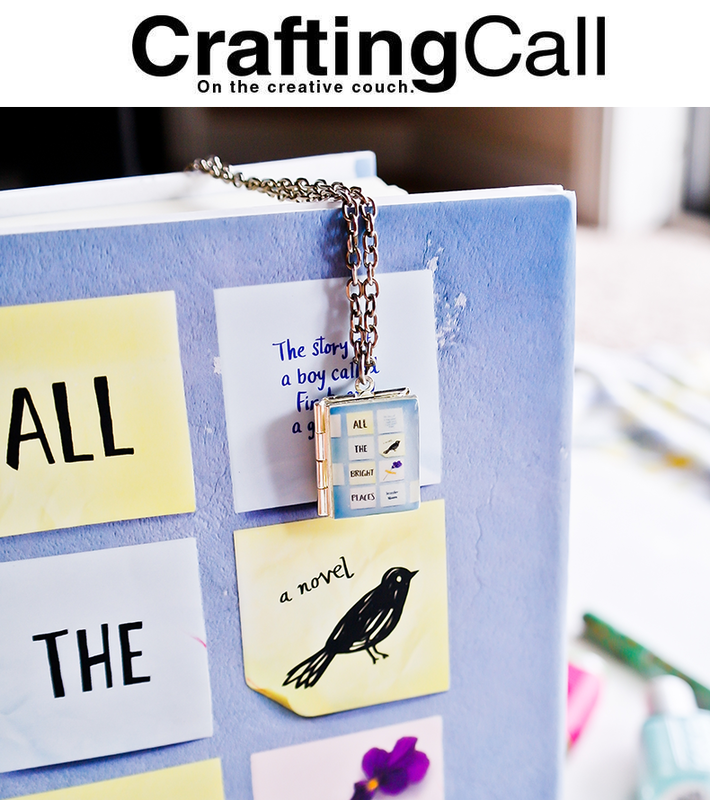 This necklace is gorgeous and the great news is, Crafting Call can make the same book locket design to be a keychain, a bracelet and a bookmark, too! Heck, if you want a different book, they have many others in their store! And if you can't find the one you really want? They'll custom make it just for you! How amazing is that?! I'm thrilled to have discovered this store and I know I will be buying more from them in the future - and the fact that this is a family run business only makes me love them more! :) (They are seriously sweet people, so don't hesitate to hit them up on Instagram or Twitter and send some love their way!). I have always been, no pun intended, a crafty person, but then life happened. Got married, had a job, had kids, quit the job, started a business, decided to fold up the original business, started another one, and then another, youngest kid now in college, virtually empty nester-- not necessarily in that order. Okay, except for the last part. Anyway, what started as a hobby, or more accurately a de-stresser, became a full blown, wait for it, (surprise! surprise!) business. I had to recruit the second of my three sons, (yes, the middle child, I know right? ), who has his own business, to take over production while I was in charge of conceptualizing, marketing, bookkeeping, the nitty gritty stuff okay? We experimented with different materials and processes until (Eureka!) we found what suited our requirements best, durability and overall product aesthetic. Before we knew it, we were setting up shop on Etsy. And setting up another shop and maybe another. We'll see. By this time, guess you know what happens next. Thanks to the wonderful folks at Crafting Call, I get to share with you this fabulous giveaway today! 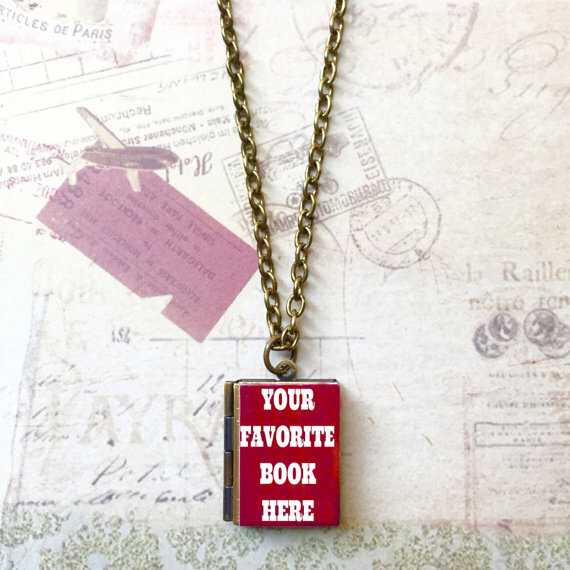 The winner can either pick from the existing ones, or decide to pick their own favorite books to be made into gorgeous custom made accessories! YAY!